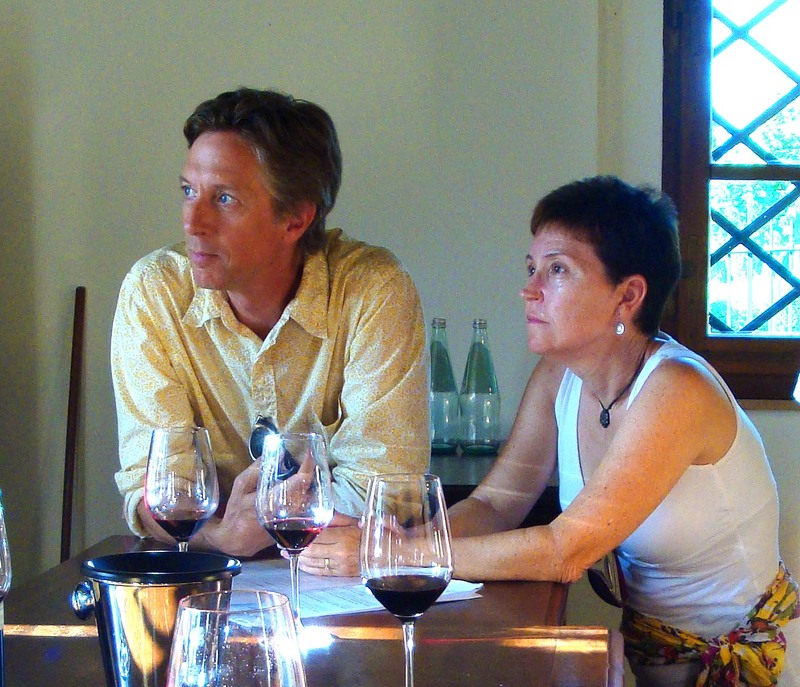 Rich and Linda, shown here at the Avignonesi Vineyard in Montepulciano, Italy. Anthony Bourdain put it best: we eat, we write, we travel, and we’re hungry for more. Oh yeah… and we golf. By the way: We really appreciate readers and comments to this blog. We know that these writings are sometimes self-absorbed – but these writings are really just about having fun, and they serve as a great diary for our reference and our memories. Wonderful blogs on Spain – My husband and I are spending 50 days in Spain starting Easter Week. I speak some Spanish. I’ve looked on your site for costs – it’s difficult to determine, but certainly doesn’t look to me to be very Rick Stevish. Rick Stevish? Uh – no thank you. We prefer local, out of the way places. If you go where Rick suggests every other tourist will be sure to be there! Thanks, Pam. We are having a wonderful adventure and can’t wait to meet my sister in Italy on Friday. Have a great trip to Nebraska – looking forward to getting together again in April. Thanks for the mention in your latest post! I was checking out your blog and it looks like you appreciate all the same parts of this wonderful city that I do. Great fun! Hi thanks for your info her and on Chowhound (Stymie re: Bar Mare Petit. Do you respond to questions, planning on a trip to Amalfi in Oct.
really enjoy reading about your Amalfi trip. I have some questions and I’d love your feedback on what i’ve planned thus far. You three have almost truly seem to be on the same page as us with regard to how we like to vacation. 🙂 We’re leaving Sept. 19 thru Oct. 3rd. So looking forward to it. We’ll have 8 days in Praiano. May I contact you via email? I don’t see a contact link. I am at tsprops@gmail.com. Or Facebook under Teresa Smith. Would love to hear from you! Wonderful tips for the walk to Nocelle (Amalfi Coast). Do you think I can do that with my family (wife and 2 kids – 14 and 10) on this January? We will be at Sorrento on January 4. Do you recommend your guide Ana? Do you have any means to contact her?